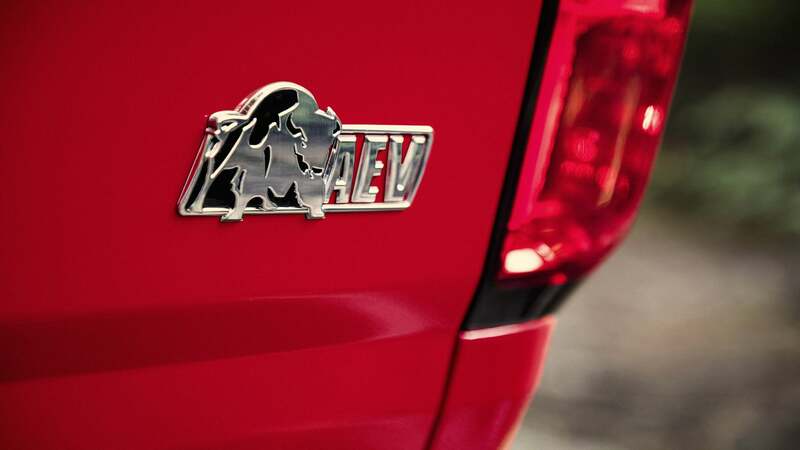 Topline: Chevrolet worked with aftermarket truck outfitter AEV to take the already capable ZR2 one step further, leading to the creation of the Bison. What's New: AEV designed five skid plates to increase protection of the undercarriage such as the oil pan, fuel tank, transfer case, and front and rear locking differentials. These skid plates, which are made of hot-stamped Boron steel, protect these vital components while driving over rocky and jagged terrain that could easily tear soft aluminum. 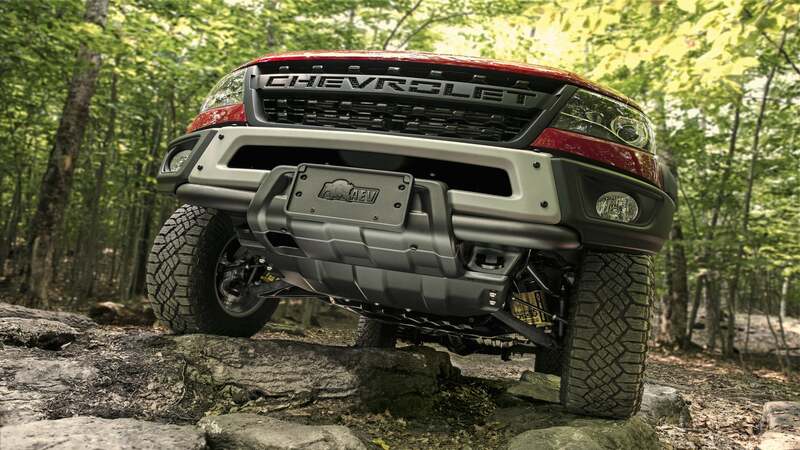 The truck outfitter also designed new front and rear steel bumpers to protect the truck from trail obstructions. The front bumper has factory accommodations for a winch, although this would likely require relocating the front license plate mount. 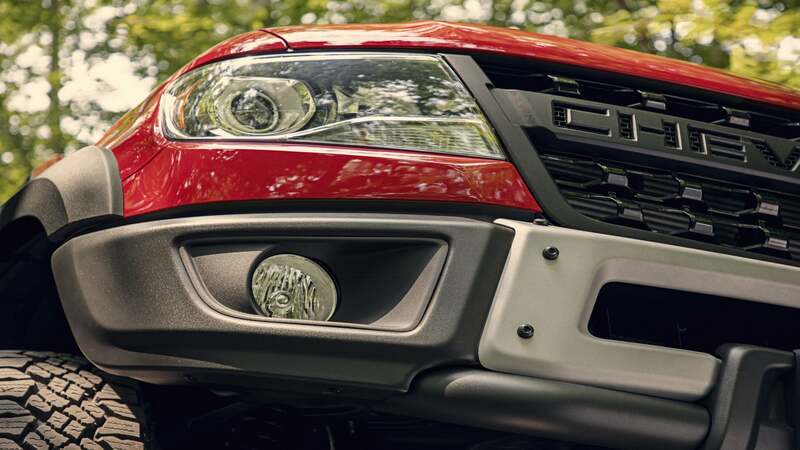 Unlike the standard ZR2 bumper, the Bison's steel bumper offers a place for a pair of standard factory fog lights. The rear bumper features chassis mounted tubular corner pieces that wrap around the rear quarter panels to provide some extra protection, and it also features two integrated recovery points for when things don't go as planned. Lastly, a new grille with flow-through “Chevrolet” lettering replaces the traditional bowtie. AEV-designed stamped steel rear bumpers. Keeping the ZR2 Bison planted on the road is a set of 31-inch Goodyear Wrangler Duratrac off-road tires mounted to Bison-specific 17 x 8-inch aluminum wheels. This variant also adds wider fender flares than the standard ZR2 to go with the new rubber and 3.5-inch wider rear tracks. 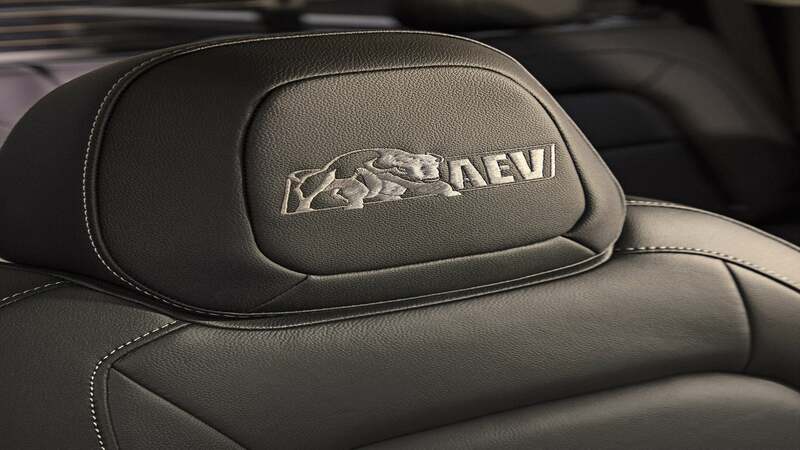 Inside, exclusive headrest stitching and floor liners feature the AEV logo, although everything else carries. Outside, a snorkel provides proper air filtration while driving on dusty trails. Carryover parts include front and rear locking electronic differentials, Multimatic DSSV dampers, off-road rocker protection, an Autotrac transfer case, and a rear axle with a 3.42 ratio. 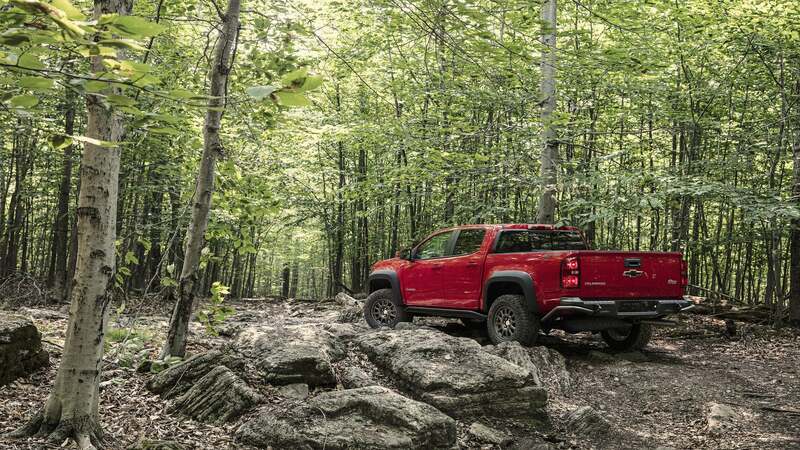 Just like in the standard ZR2, the Bison can be equipped with the optional 2.8-liter Duramax turbo diesel. 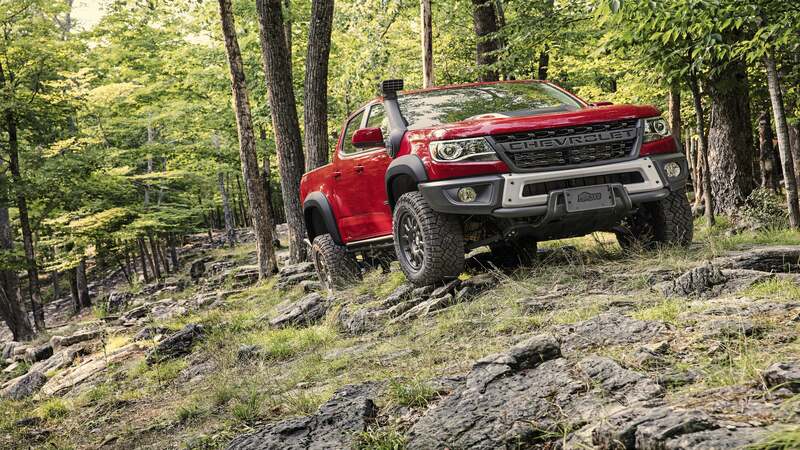 What you need to know: A Chevrolet spokesperson told The Drive that the bumpers and skid plates will be "exclusive to the ZR2 Bison and not available for the standard ZR2." They went on to say that the foglight end caps are not removable from the rest of the bumper to award the Bison a sharper angle of approach. 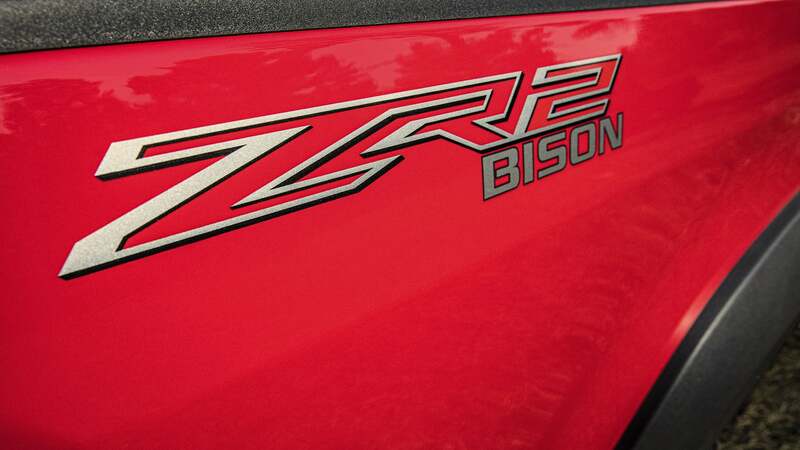 The ZR2 Bison goes on sale in January 2019 and pricing information will be announced closer to the sale date.